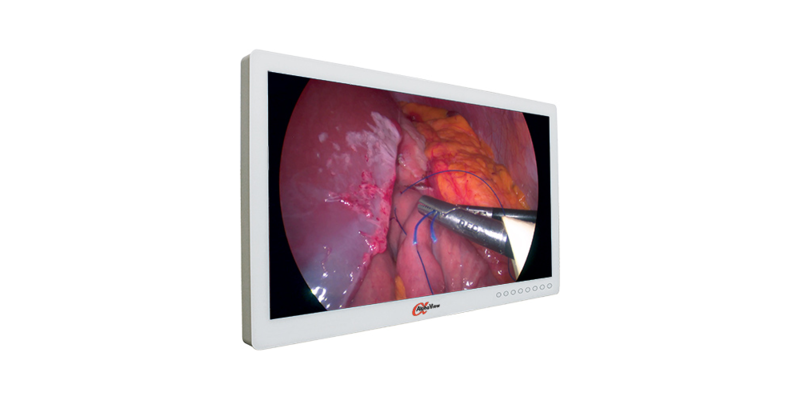 The AVC2F5P-1 is part of the AlphaView line of displays designed for surgical, OR, ER, and endoscopic applications. AlphaView’s high resolution medical-grade surgical displays include 19”, 24”, 26″ 32” and 55” displays. All of these displays incorporate multiple video inputs, including HD-SDI ports providing for unsurpassed compatibility across a variety of platforms. The AVC2F5P-1 features a sealed membrane On Screen Display and resilient anti-reflective / anti-scratch protective panel ensures that these displays can stand up to the harshest environments. The AVC2F5P-1 contains a comprehensive set of video inputs. This enables the broadest video compatibility available. The AVC2F5P-1 can be mounted securely on most stands, boom arms, ceiling mounts and carts utilizing standard VESA mounting patterns.